Pro Evolution continues being the technically authentic soccer game, sponsorships or not. Pro Evolution Soccer 2019 is a spectacular game in the technical sense. Konami has almost always been underappreciated, and this year looks like the odds are further stacked against them. On the corporate side, licensing for UEFA and Europa Champions Leagues is gone and definitely hurts the brand, while EA’s FIFA continues to be the dominant gaming choice among football/soccer fans. On the outside it appears to be somber year for the “Winning Eleven” franchise. Sponsorships are one thing but making a strikingly realistic football sim is another thing entirely. Discerning players will find PES 2019 to be one the best experiences around, the movements and physics continue to be steps above other FIFA, sometimes to the fervent opinion (not mine) of being in a class all its own. The gameplay is not as groundbraking as it was nearly five years ago, but that doesn’t mean Konami has rested on its laurels either. Fundamentals are further distinguished and it will greatly help you understand the intricacies beyond mindlessly passing the ball, requiring a level of intelligence in order to control the ball and flow of the game itself. A delicate touch along with lifelike player animations often dictate how opponents can read and react to overeager strategy, with the AI in particular being improved to shake up defenses and allies smart enough to adapt under pressure with minimal input. Team substitutions are gratefully streamlined and works quickly for any position changeover, it doesn’t even matter what the reason could be — whether you’re noticing a player lacking stamina or just want to mix things up. There is a learning curve and it’s just as daunting if you’re looking to jump into a match. The art of executing passing moves is like a science and you will flub a lot of them, while slaloming through a wall of opponents is highly unlikely in most scenarios — it’s a more believable representation of the sport and feels more gratifying when you finally get the technique right. But PES 2019 remains a thinking man’s soccer game, and that could be a turn-off is you want your matchups to be visually engaging. The series is historically more involved and focused on the exact application of the sport, rather than the outward marvel that FIFA clearly accomplishes. Graphically, PES 2019 is generally good to look at solely on its simulation attributes, but not necessarily aesthetics. Konami has touted the superiority of its internally-developed Fox Engine, and how it achieves accurate lighting and real-world environmental dynamics, however EA still makes a better-looking and corporately diverse game. The aforementioned losses of both Eupora and UEFA Champions Leagues is an unfortunate blow to the brand, but some big name teams and stadiums are still officially tied to the game. Playing at Estádio Beira-Rio and Emirates Stadium is relatively gorgeous but pairing up the majority of licensed teams against generic reproductions is an awkward reminder of what’s missing this year. This is further compounded by the lackluster commentary which is still yawn-inducing from before. Another knock are the game modes themselves, which is just plain derivative to be enthralled with for long periods of time. The Master League returns and retains the same amount of depth that PES fanatics will love, and now includes a career challenge difficulty where you can actually get fired for doing a poor job. Otherwise it’s business as usual where you’ll manage a club from the bottom and proceed with realistic player trades and skill development. Online functionality via MyClub is back too, and offers co-op play and weekly boosts for players who perform well in leagues around the world. 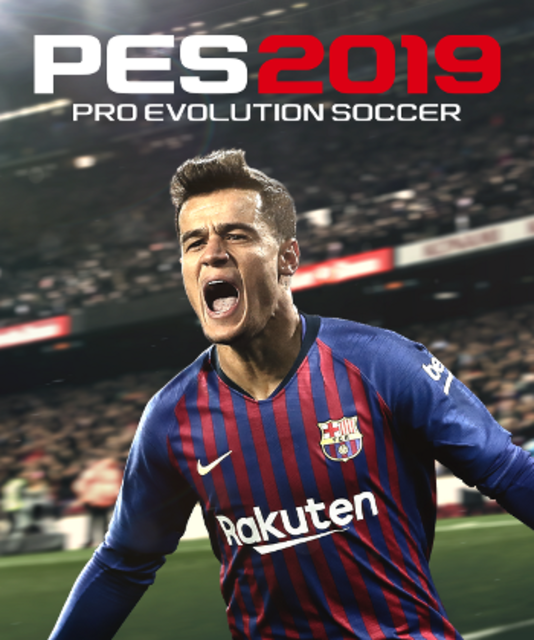 It appears to be an uphill battle of relevance for Pro Evolution Soccer 2019, where graphical polish and license branding appear to trump gaming precision. That distinction seems a bit unfair because this game continues to be the impeccable opposite of its contemporaries, to deliberate effect. However, the reduced number of licenses and longstanding issues in mode variety are still critiques that have always needed addressing, and we doubt the diehard EA fans will set down FIFA 19’ if the presentation doesn’t have the ‘wow’ factor. That said, PES 2019 is steadfast in bringing the most accurate simulation yet, that continues to be the virtual sauce once you get into it.